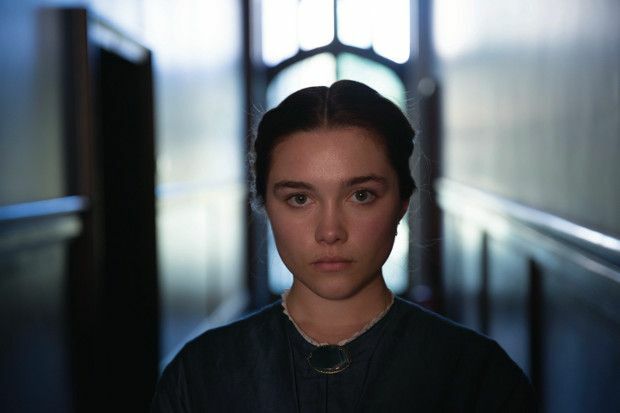 In Lady Macbeth, 21 year old Florence Pugh is absolutely commanding as a young bride trapped in a loveless marriage. Her towering performance is no small feat when you consider that her part in William Oldroyd's debut feature is her first leading film role. Director Carol Morley took a chance on Pugh in 2014 and cast her for a small but integral part alongside Maisie Williams in teen drama The Falling. Set at a boarding school in the 1960s, her character's behaviour acts as a catalyst for a break-out of mass hysteria; even with her small amount of screen time, she made a lasting impression and was marked out as one to watch. Lady Macbeth, Glasgow Film Theatre, Sat 18 Feb. General release from Fri 28 Apr. Katherine (Pugh) is a young bride shackled to a middle-aged man; when left alone in the grand manor house she begins an affair with a stable-hand (Jarvis) and it all goes downhill. Restrained, compulsively watchable debut feature with a chilling, droll performance from Pugh as the wicked but compelling Katherine.